I became an accredited Life Coach when I used coaching to help myself recover from severe Post-Natal Depression with my second child. This is my 1:1 coaching program offering the same solution to mums. 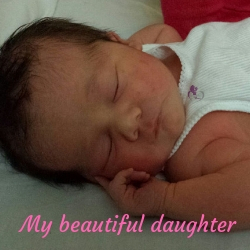 The darkest moment of my parenting journey was when I gave birth to my second daughter. I pushed her out, caught my baby, placed her on my chest, and felt NOTHING. She wasn't crying, I wasn't in pain, I wasn't crying. I turned to my friend who was my birth partner and said to her "I feel nothing". I became a single mum when I was 28 weeks pregnant with her. It was traumatic to say the least. I had a really difficult time. My obstetrician was worried. My GP was worried. 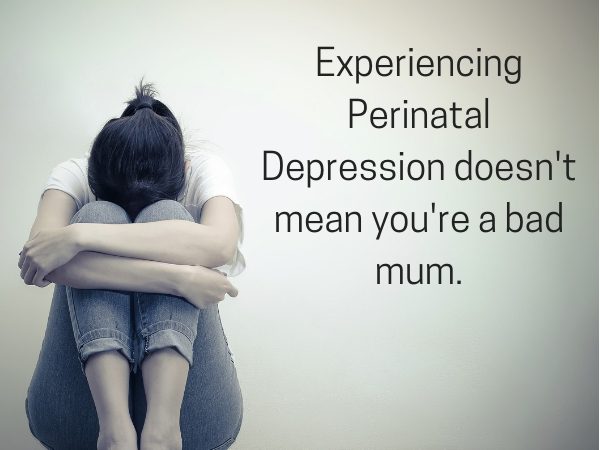 I was diagnosed with perinatal depression (PND). I thought that once my daughter was born it would be like it was with my first; a happy joyous moment of hearing her cry where I would fall in love with her and being a mum for the second time. But it was the complete opposite. I felt disconnected. I loved her, but was not in love with her.I was happy but not happy at the same time. I worried about the future. I doubted myself. I believed that it was going to be horrible. The first night that we came home from the hospital and I lay in my bed which I shared with my toddler and had my newborn in the bassinet, I wished I was dead. I didn't sleep a wink that night. I sat and cried alone in the dark. I've had PND with each of my babies (I now have 3). This time was the worst and I wouldn't wish it upon my worst enemy. I was being cared for by everyone who could. My mum and dad were helping out. I had a network of close friends who were very supportive. I was seeing my GP, I was on anti-depressants, I saw a specialist PND psychologist. But it wasn't working. I'd have my appointment with my psychologist and come out feeling worse than I went in. I would have friends and family over or have them help with the kids and just feel guilty that I couldn't manage it myself. The traditional medical model of antidepressants and psychotherapy wasn't helping. I was determined to find something that would. My life and my children depended upon it!! I sought out the help of a life coach. After being coached, I decided to do my own training and as I implemented what I was learning into my own life, my life was completely turned around. I was happy again. I felt joy when I woke up in the morning. I wasn't stressed, overwhelmed or feeling guilty. I felt connected to my children again. I was being the type of mother I wanted to be, that I was with my eldest. The best moment of my recovery was when I went to a Thermomix demonstration (yep, I love my TM5!). There was another mum there who had been in a mother's group I was part of just after my daughter was born. She saw me at my worst, then here at the demo I warmly greeted her and gave her a hug and she didn't recognise me at all. She even asked who I was! I explained and she was amazed! Around the same time I was apart from my best friend, who had been at my daughters birth, for around two months. Life was busy. I was doing my coaching training, we both had two kids. By the time we caught up again she said I looked like a different person. It was after this experience that I created Blissed Out Mums. I knew I could bring together my training and my experiences to help other mums who weren't being the type of mum they wanted to be. In 2016 I had my son as a single mum by choice. And once again I fell into PND. Fortunately it wasn't as bad as before but it still wasn't much fun. I fell back on my training and I got myself out of it again. Since then I've gone on to do further specific training in the alleviation of depression, including Post-Natal Depression. I have created a program that is specific for mothers who are experiencing symptoms of PND or general parenting depression to help them get out of their depression FAST! Run over 8 weekly sessions. This doesn't go on forever! 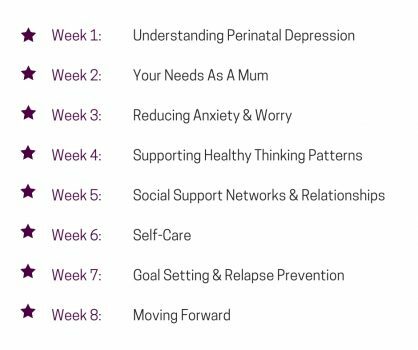 The PND Recovery Program is a step by step process which we work together to help you draw upon your own strengths to help lift you from the depression, prevent it from returning and help you enjoy motherhood to the fullest. Each session within the PND Recovery Program is $150 payable at time of consultation via credit/debit card. If the program is paid for upfront a 10% discount is available. What if I'm already seeing a psychologist? There’s no problem if you’re seeing a psychologist, or have in the past. I take a very targeted approach to PND and how it impact us in our role as a mum. It may be easier to take a break while we work together, especially if you haven’t been getting the results you were looking for. I am happy to provide a report of our sessions for your psychologist or GP. Is it okay for me to stay on my anti-depressants? Of course! The decision to stay on or come off prescribed meditation is between you and your prescribing doctor. If at the end of our time together you feel you no longer need them, then an appointment with your doctor is a must! I’ve was on antidepressants for my PND so there is no judgement or stigma here! No. However due to the limited time we spend together the overall cost of the program is less than an equivalent amount of time with a clinical psychologist based on current recommended fees by the Australian Psychological Society and current Medicare Rebates under a Mental Health Care Plan as of October 2018. Can you help me with my child's behaviour? This specific coaching package does not specifically address any concerns with your child’s behaviour. It may be touched on in sessions but will not form a primary focus for your coaching. This is because this package is for you and to get you emotionally well before focusing on your child. There are options for parenting coaching available after this package ends if needed. What To Know More Or Get Started? If you'd like to have a chat with me further about the program or if you're ready to get started, pop your details into the form below and I will get in contact with you ASAP.